Have you been visiting Redemption Church for the past few weeks or months? If so, we'd love to have lunch with you! 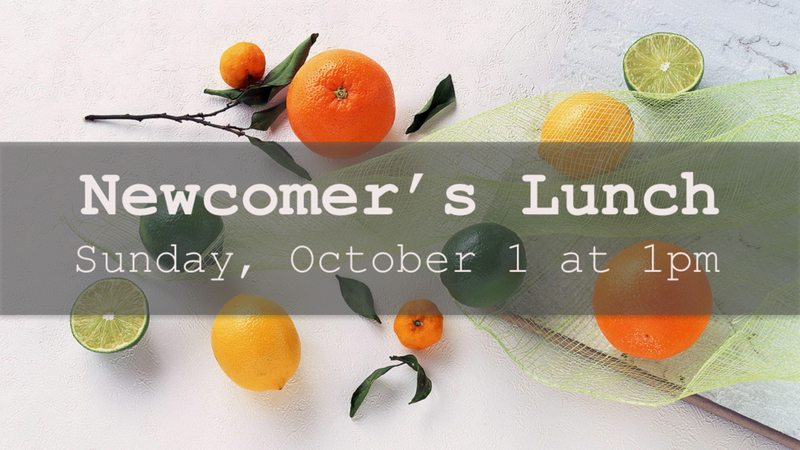 If you're new to our community and want to get to know us or have been coming for a while and would like to connect with others, you're warmly invited to lunch on Sunday, October 1st immediately after the second service (around 1:00 pm) at Redemption Church. The church leadership team would love to get to know you, introduce ourselves, answer any questions you have, and share about the church. 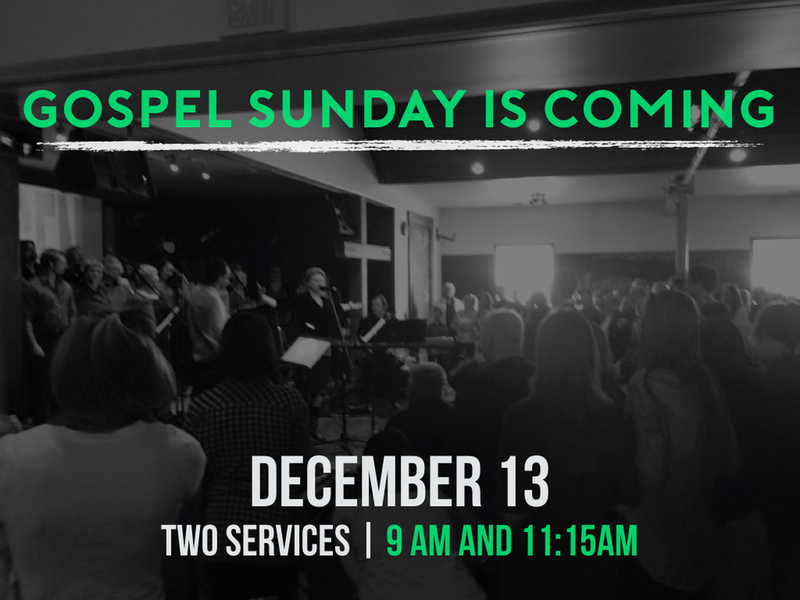 If you have questions, contact the church office at 604-732-5577 or email info@redemptionchurch.ca. No RSVP needed, we hope to see you there! Tracy Moar and the Redemption Choir will be leading us in some awesome Christmas-inspired gospel music on Sunday, November 27th at both services (9am & 11:15am). This is a great opportunity to invite friends and family to join us for this celebratory Sunday morning. If you normally attend the 9am service, please consider coming to the 11:!5am service to accommodate visitors. It is a simple way to serve and love our neighbours! We will also be decorating the church after the 11:15am service for the advent season! Join us after the second service (around 1pm) on Sunday, December 6 as we dig out our nativity scene, wreaths, and festive adornments. We'll transform the church as we decorate for the season of Advent and Christmas. If you have questions, contact the Church Office at info@redemptionchurch.ca or 604-732-5577. Tracy Moar and the Redemption Choir will be leading us in some awesome Christmas-inspired gospel music. This is a great opportunity to invite friends and family to join us for this celebratory Sunday morning. Also, there will be a potluck lunch after the 11:15 am service – bring appetizers, mains, fruit and veggies to share! Desserts will be available through a bake sale to support the Mexico Missions Team and their house-building project. Join us after the service on Sunday, September 6 for a Picnic in the Park! We'll make our way to Jericho Beach Park (at the corner of 4th Avenue and Wallace Street) around noon. Bring along a packed lunch (keep it chill in your cooler if needed), a picnic blanket or lawn chair. If you're able, bring along some extra food as we're expecting first-time visitors and new students. Please note that Sunday's service is taking place at the church (not at the park). The picnic lunch afterwards will be located at the Jericho Beach Park (see map below). When you arrive, look for the white canopies and the Redemption Church sign. Everyone is welcome, we hope you can join us! It's time for a backyard BBQ! On Sunday August 2, we'll be having a BBQ in the church backyard immediately after the service. We'll fire up the grills and enjoy an afternoon with old and new friends. There will be food for vegetarians, carnivores, and omnivores. If you're able, bring along a salad, side dish or dessert to share. Please bring $5 to help with the food cost. * Note that our previously scheduled church picnic at Jericho Beach Park has been postponed and will be rescheduled for a later Sunday. Ah, summer. We enjoy the pleasures of longer daylight hours, travelling, vacationing, a break from school and...barbecuing! We’d like to extend our time of getting to know each other by sharing a meal. On Sunday, July 12 we'll be having a potluck BBQ lunch together in the backyard after the service. We ask that you bring your own meat/veggies to grill and buns. When you arrive, please put your food in the kitchen's refrigerators and make sure it's labelled with your name. If you're able to, please bring along a salad, side dish or dessert to share. Condiments will be provided. If you have a lawn game, feel free to bring it along too. If you're able to help with set-up or grilling, contact Megan (604-732-5577 or megan@pgcc.org). Click here to find out more information and to order tickets. Do you live in East Van, Burnaby or New West? If so, you’re invited to a church BBQ at New Brighton Park on Friday, June 5 at 6pm. Please bring an appy, dessert, or drink. Meat will be provided. Children are welcome!